Many folks do not take meditation seriously until they get a chance to try it once. Meditating can be a life changing practice if you approach it the right way. At the very least, it can help you relax and reduce your tension level. There are some meditation applications that throw you in deep waters right from the start. Meditation Elements is not one of those apps. 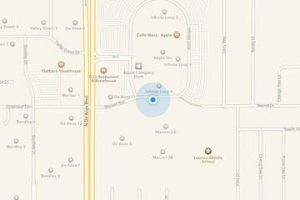 It is an iPad application developed specifically for those who want to get their feet wet with meditation. 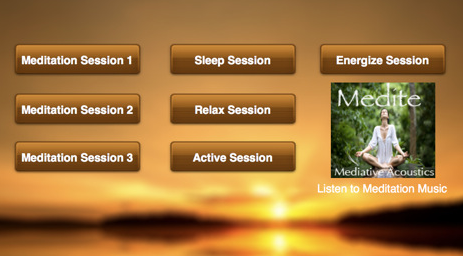 Meditation Elements has multiple sessions to help energize and relax you. The sleep session is quite useful if the troubles on your mind keep you from sleeping properly at night. The relax session can reduce the stress and tension in your mind. 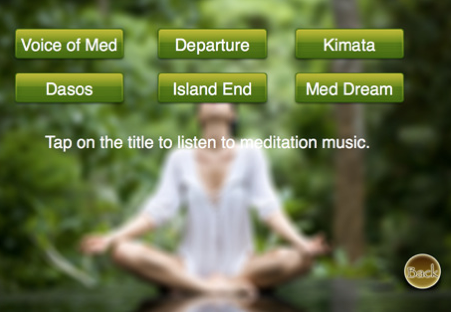 Meditation Elements comes with a bunch of music files to help you get to the calm state of mind faster. The interface is pretty simple. What you see is what you get in a sense. If you are having a bad month or just want to incorporate the wonderful practice of meditation in your daily life, Meditation Elements can help you get on your way.